I've got brake drums that use bolt-style lugs instead plain old nuts. Never seen this type of set-up before. One the drums has stripped threads on one of the 5 holes. Any thoughts on how to fix it? Any advice on how to ID the size for wheel bearings? I have seen lugs bolts before. It is very common on outdoor equipment, garden tractors, agricultural machinery. But I have not seen them on a travel trailer until now. Assuming you cannot buy a new drum, there is a thread repair kit called a Helicoil which is intended to fix stripped threads in just about anything. Aluminum cylinder heads where the spark plug threads stripped out etc. They also use these in very expensive metal parts that use fasteners being put on and off a lot. If they strip out a thread, the part is already prepared for a Helicoil and they just change the thread insert. There are a few styles and materials. You can buy kits to do this yourself OR find a local machine shop and they can do it for you. The bearings, they are most likely standard size cup and cone tapered roller bearings. If you take them to the a NAPA auto parts store they can match them up. They will have the seal too. There are small little numbers on the bearing cone. The cup or outer race, the numbers are on the inside where you cannot see them until you knock out the race. If you are changing bearings, you need to change both parts, the race and the bearing. They are matched sets. Do not use a new bearing in an old race it's life will be limited. And if you can find the numbers on the bearings and the races, then it is not hard to get a cross reference to the bearing/race number and find parts that way. I can lookup what bearing would fit that axle. If you need more explanation on this, just ask. Glad to explain more if needed. I'm making an assumption you may have a 10" brake drum. Is the brake diameter 10". It might be cheaper to buy an entire new drum. See here. Before doing this, we have to verify several things to make sure this drum will interchange with yours. Dexter has very good customer service and a call to their service dept will get you fixed up if it will convert or not. But I have not seen them on a travel trailer until now. Lug bolts were very common on travel trailers throughout the '70s and early '80s. 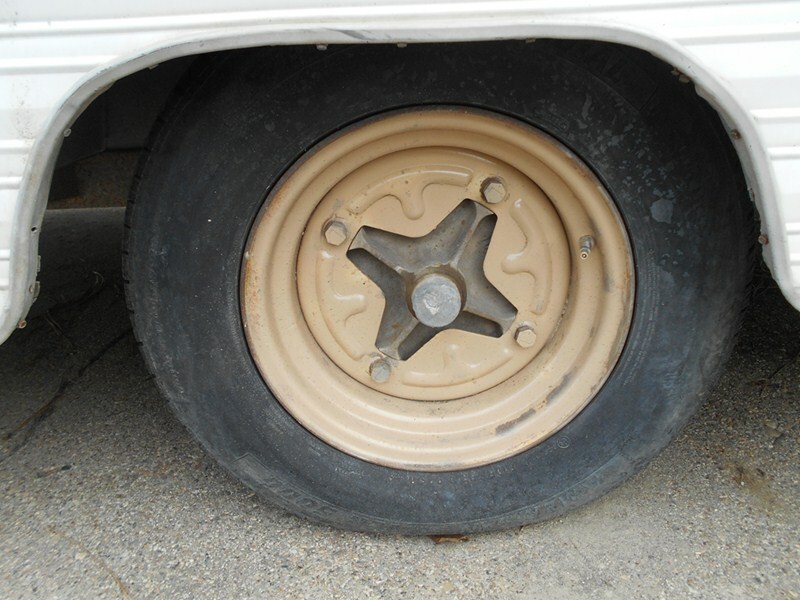 They started out being used on the Dexstar trailer wheels in the early/mid '70s (see pic below) and then were incorporated into normal steel wheels/electric brakes shortly after. My '79 has them. Back when I was selling RV parts about 10 years ago, we stocked and sold quite a few of these lug bolts. Luckily they seem pretty standard among travel trailers, we only had the one size. Lots of good info in your post. Thank you. I’m going to take some measurements tonight. SunLineFan......That’s a crazy looking rim! I believe Sunline trailers had them through 1975. Lug bolts were very common on travel trailers throughout the '70s and early '80s. Well.... learn something new every day here on Sunline Owners Club! Now that I'm on my home computer...the 1975 Sunline Orbiter featuring Dexstar wheels! There is a old camper sitting in my friends yard it's not a sunline and it has the same type wheels they were common on utility trailers years ago also. Large trailer stuff had bolted wheels too I have the remains of a trailer of some sort it once had 2 axles and it had open type wheels not a star but open face with bolts. It leaves little rust deposits where ever it goes on the farm but it's a great firewood hauler!